In this useful guide we will take you through some important need-to-know essentials if you are moving to Buckinghamshire (a wonderful county) to help you get the most out of your new location. 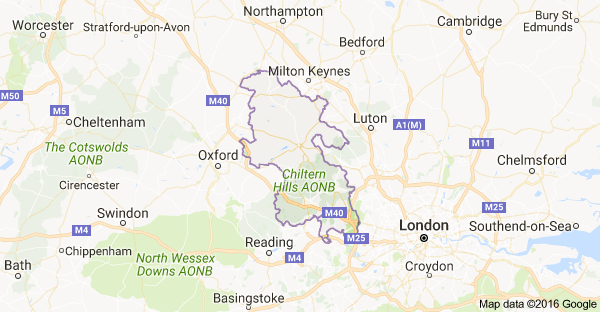 The popular county of Buckinghamshire is in the South East of the UK bordering Hertfordshire, Bedfordshire, Northamptonshire, Oxfordshire, Berkshire and Greater London. Buckinghamshire proves to be a popular county for many different reasons including its beautiful scenery, various historic landmarks and homes, including the famous Bletchley Park. There are also many sports and film connections within the area. Famous people who were born in Buckinghamshire include Roald Dahl, Enid Blyton, Terry Pratchett, Lynda Bellingham and James Corden. With its close proximity to London, the county is also currently home to many celebrities including Fern Britton, Noel Edmonds, Tess Daly, Noel Gallagher, Peter Jones and Hugh Laurie. So if you are moving to the area there’s a lot to be excited about with a rich economy, beautiful scenery, lots of history and plenty to see and do. Education in Buckinghamshire is of a high standard and is provided by the two local LEA’s (Local Education Authorities) Buckinghamshire County Council and Milton Keynes. Within the Buckinghamshire County Council jurisdiction there are 9 independent schools and over 30 state schools. There are additional sixth form colleges as well. Within the Milton Keynes authority there are over 7 state schools as well as the University Campus Milton Keynes. Within Buckinghamshire the University of Buckingham and Buckinghamshire New University are popular further education options. How both LEA’s operate is entirely individual and if you do have children under 16 it is a good idea to take a look at the different application systems dependant on the area you are moving to. Getting around Buckinghamshire is really easy as the transport network is intricate and well developed. If you’re driving, there are many well maintained motorways and A roads to get you about. If you’re planning on using the train, which many people choose to do in terms of commuting, you’re going to be well looked after. Buckinghamshire is part of the London commuter belt, hence many commuters making a home here. Chiltern operates one of the key train services in the county, with lines ending in Marylebone. First Great Western takes you through to Paddington. London Midland ends services in Euston and Southern takes you through to Croydon. For services taking you out of the county, Virgin takes you to central Scotland, the North West and the North of Wales. First Great Western takes you down to South West England or to the South of Wales. In the coming years there are various concrete or proposed additional services being planned. If you would rather take the bus around Buckinghamshire there are various services taking you around the towns and countryside and you can find timetables and route information here. If you plan to travel intercity, there are coach services within Buckinghamshire, namely National Express which offers incredibly cheap services across the country. 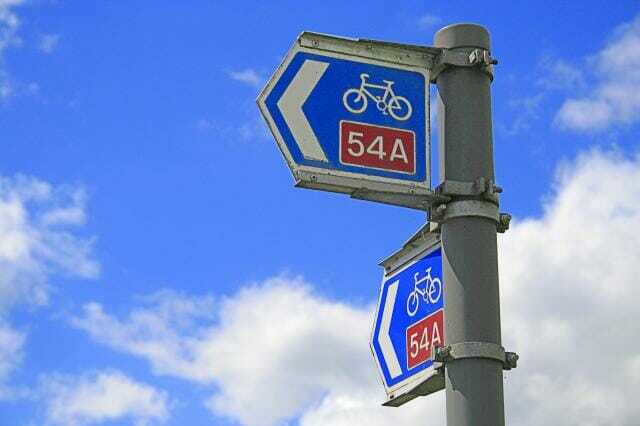 If you’re an eco-conscious or health-conscious person, and plan to cycle, there are some excellent opportunities for cycling in this county because you’re never far from the countryside. In fact, there are over 2,500 miles of cycling paths in Bucks so you’re sure to have plenty to explore in this beautiful area of the country. The economy of Buckinghamshire is thriving, particularly because it is part of the commuter belt whilst being surrounded by glorious countryside. The agricultural industry in particular is a strong part of the Buckinghamshire economy and there are many county and agricultural shows throughout the year. Manufacturing and pharmaceutical industries are also strong in the area and many large companies and corporations hold their head offices in Bucks. When you move to Buckinghamshire you’re going to want to explore the area. It is known for stunning scenery and pretty amazing historical houses as well, not to mention some great activity days out for the kids. Without even planning a day out, you could simply explore the bustling towns of High Wycombe or Amersham. Or perhaps head North and amble through the picturesque villages of Aylesbury Vale with many a welcoming pub to stop at for refreshments. The Chiltern Hills are another great place to simply go and explore with beautiful waterways, villages and forests in this Area of Outstanding Natural Beauty. If you love history, you really are spoilt for choice in Buckinghamshire, there is such a rich history here. The Milton Keynes Discovery Centre is a good choice if you want a child friendly day out with lots of different things to enjoy. There are different areas of interest within the centre like archaeology and local history and much of it is engaging and interactive so little ones will enjoy it as well. The Chiltern Open Air Museum is another great choice for all the family as it has an impressive selection of historic buildings like the tin chapel, as well as an abundance of farm animals as it is also a working farm. They hold events throughout the year as well. For a super friendly and exciting day out, the Wycombe Museum could be for you, with different events, activities and exhibitions being held throughout the year, plus entry is free which is a bonus. For a more locally centred museum the Buckinghamshire County Museum is a good place to head to and they have lots of art included in their showcase, which is great for creative types. -If you want to shock your children by showing them what computing used to be like, The National Museum of Computing is a really fun choice and many of the vintage computers are still working, so children can interact with them and see just how different things were, not that long ago. The Roald Dahl Museum And Story Centre – This is an absolute must visit for the entire family. The museum has even won awards it is that great. Enjoy the fun, creative and enjoyable showcasing of Roald Dahl’s work and life. If your children are more interested in animals, there are plenty of places to go and enjoy all things furry and feathered. Tiggywinkles Wildlife Hospital is a wonderful place to visit because your entry fee helps the wild animals based at the centre. Children gain a great insight into the environment and into the local wildlife. The Bucks Goat Centre is a cute little session with goats, pigs, chickens and lots of other farm animals and small animals. There are daily animal handling sessions available which small children love. For a more active and full day out, there are many different options around Buckinghamshire. Gullivers Land is an excellent choice with rollercoasters, things to look at, play areas and even an additional pool and splash zone (entry is extra). Chiltern Pools is a wonderful choice if your kids love the water as there are diving boards, flumes and various other water features. To get the kids tired out, Zoomania is a great choice for using up their energy! There are 3 play frames to enjoy, all suitable for kids up to the age of 11. Plus a cafe area for parents to enjoy while the kids tire themselves out! Chessington World Of Adventures is the ultimate day out if you want to enjoy some of the biggest, scariest rollercoasters in the country and although it is not in Buckinghamshore it is easily accessible for a day out. Eating out in Buckinghamshire is probably going to become one of your favourite things to do, as there is so much choice! The Saracens Head Inn in Amersham is a must visit for exceptional atmosphere and delicious pub grub. The specials are particularly well known for being interesting, tasty and well priced. If you like a little more fire in your food, the Blue Mountain Yard LTD is a Jamaican restaurant in Milton Keynes bringing some gorgeous home cooked flavours to the county. For some tasty Indian fare, Ganges Lounge is a wonderful option, providing bright and delicious Indian food to locals, it is well known for being cheap for the quality it offers. Naidni is a really good option if you love Asian food, with the Tandoori Chicken being a real showstopper. Vegan or vegetarian? Then look no further than Veggie World, offering a tasty vegan Chinese menu full of wonderful and creative meat alternatives. 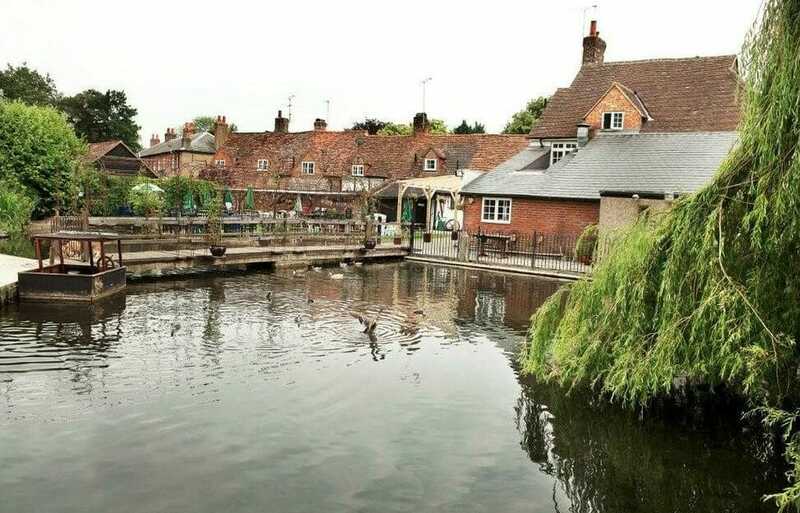 If you want to know more about getting out on the town in Buckinghamshire, there’s plenty to explore if you want just a good quality pub, a lively bar, or perhaps a great club to dance the night away in. The Red Lion in Little Missenden is a really good choice if you like the place you’re drinking in to have some history and personality. The Inn is well known for showing up on Midsomer Murders and the open mic nights are well known for bringing some real talent to the area. The New Inn is another great pub choice which has a lovely outdoor area. If you want to go to the most well known club in the area, then you’re going to want to go to Winkers Farm. Established in the 70’s as a nightclub, the place is still thriving and it is also huge. Expect 3 bars, 2 rooms playing music (and with room to dance), a covered outdoor smoking area, seating and various styles of music playing throughout the venue, as well as special events and outdoor BBQ’s. There is also a free shuttle bus from local stops. There are no winners with being last minute when it comes to moving to Buckinghamshire. Get your stuff packed, your dog booked into kennels and your moving company booked – last minute bonuses don’t exist when it comes to moving home. 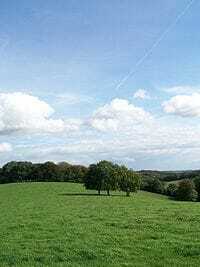 If you can, try to explore your new area before moving day if you are new to Buckinghamshire. This helps you get acquainted with the area in a relaxed way before moving day comes. This will mean you can find out where local shops are, what local facilities are like, and even maybe check out your child’s new school as well. This is particularly relevant if you live quite a way from the county as it means things will be a lot easier for you on moving day. Rather than try and get everything across to your new home in one go, why not transfer some things into storage so you can then place it in your new home as and when you want to to relieve the stress of moving day. Maybe you need time to decorate your new home, want to settle in without placing all the furniture, or you want to move in without having all the furniture delivered at the same time. Have a moving day box ready which has some toys, pet food, snacks, drinks, a kettle, tea bags, toilet roll and any other ‘need to have’ items so that you have the basics on hand amongst the chaos. 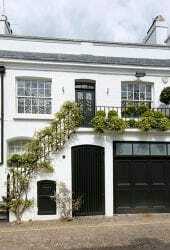 Moving to Buckinghamshire is going to be a wonderful adventure for your family. With so many amazing historical, animal themed and nature themed areas and places to explore, plus all the lovely eateries, shops and the well thought out transport system, you’re bound to have a great future ahead of you in this great county. Happy Moving!